Visual Studio Code>Themes>Will-o'-Wisp ThemeNew to Visual Studio Code? Get it now. 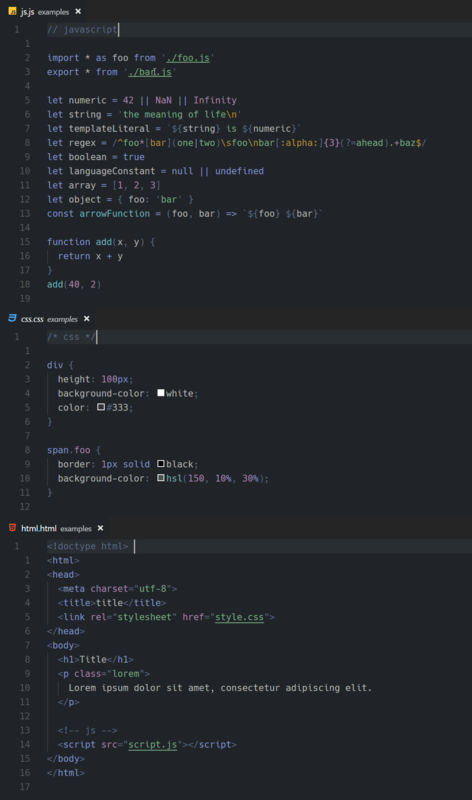 Like a will-o'-wisp in the night – a cold and dark theme for Visual Studio Code.